Jude Anderson – Judging All Male Huacaya and Suri, Co-Judging Bred & Owned and Group Production. Jude Anderson, along with her husband, Alan Cousill, has been breeding alpacas since 1991, in both Australia and the US. Currently, they own and breed alpacas in the US, a herd of quality suris and huacayas at Pucara International, a beautiful 105 acre farm at McMinnville, Oregon. In 1994 Jude left school teaching to concentrate fully on the breeding and animal care of alpacas at Pucara Alpaca Stud in Australia. An AAA judge since 1998, Jude gained AOA certification in 2002 and senior judge and judge trainer/instructor status in 2005. She also certified at the IAJS judging school in Peru in 2000. Since 1998 Jude has judged in Australia, USA, Canada, New Zealand, the UK, Sweden, and Norway. She is involved in the development and teaching at both halter and fleece judging clinics and works with apprentices to develop their skills. She has also trained British Alpaca Society judges in the UK. 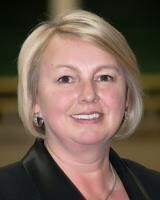 Currently, Jude is Chair of the AOA Judges Advisory Committee and a halter liaison to the AOA Show Rules Committee. Alongside Cheryl Gehly, Mike Safley, and Amanda VandenBosch, Jude authored The Art and Science of Alpaca Judging, a comprehensive judge training text also used extensively by alpaca breeders worldwide. Jude has also conducted seminars and spoken in Australia, New Zealand, Canada, USA, UK, and Germany on topics including breeding, reproduction and alpaca husbandry, alpaca fiber, conformation, selection, genetics, and nutrition. Kathy began her alpaca adventure in 2000 with what was thought as an innocent little comment from her husband regarding an article he was reading on what his college's past president was doing during retirement. From there, the internet was all it took for the fun to begin. Growing up on a farm and being actively involved in 4-H raising cattle & showing horses, it was easy to see the potential of this fiber animal and to embrace raising alpacas. She has spent hours volunteering at fleece and halter shows and enjoyed scribing during numerous annual AOBA National Conference Fleece shows. She started the first alpaca 4-H club in Franklin County and has donated her time to coach various 4-H clubs around the state as well as judge 4-H alpaca events. She has held clinics and presented seminars on varied alpaca topics. She's currently an active member of AOA, CABO, and the Suri Network. Kathy left her financial planning and investment management job in 2007 to concentrate full-time on completing the AOBA Judge Apprenticeship program and is now certified to judge suri/huacaya halter, performance & fleece. She enjoys delivering her orals reasons in a way that each participant gets meaningful information as to why their alpacas placed as they did reflecting her desire to enhance the exhibitor's show experience. Kathy, her husband Earl and their herd of suri and huacaya alpacas, reside at Jefferson Laurel Farm.